EZ-Gro Armour-L 0-0-15 is a concentrated Potassium Silicate liquid fertilizer additive that can help your plants protect themselves against a myriad of stresses including moisture, temperature, salt, and heavy metals. The Silicon Dioxide contained in Potassium Silicate offers two levels of protection – silicon inserts into the cell wall forming a physiological barrier, while also activating biochemical pathways to increase water usage efficiency and promote growth in response to, or despite of, abiotic stress. 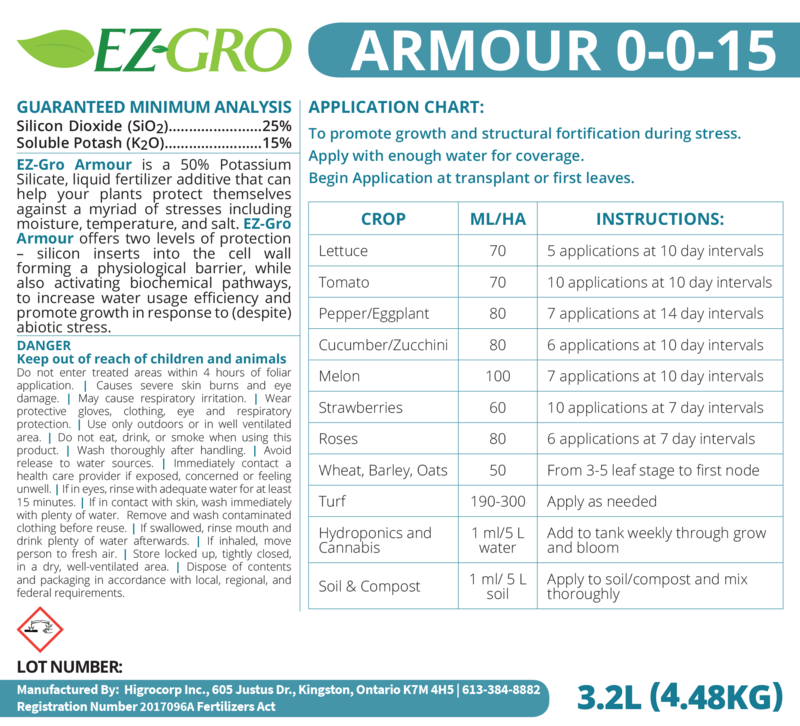 Apply EZ-Gro Armour-L 0-0-15 during times of stress to help your crops defend themselves and survive detrimental conditions.